Our goal is to give our owners every opportunity to experience the thrill of owning a winning thoroughbred. This in mind our three part plan is quite simple – source quality bloodstock, purchase at a reasonable price and have the horse trained by a professional. 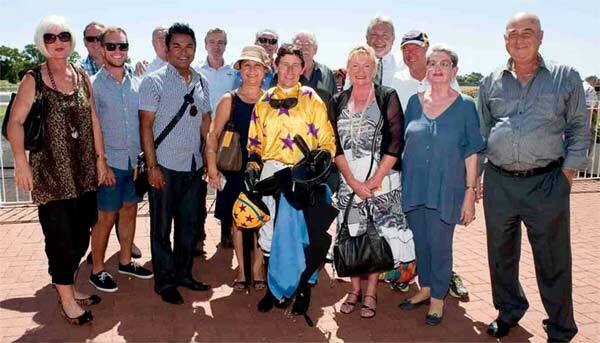 As a member of an OZ Racing partnership, we want to maximise your experience as an owner of a racehorse. This includes having your name in the race book, being able to enter the mounting enclosure before a race to listen to the trainer talk race tactics with the jockey and more importantly bask in the glory of success in the winner’s circle if the horse is in the money. We will keep you informed via a weekly newsletter giving you details of your horse’s progress and general comments about racing a thoroughbred to help you improve your knowledge of the industry. You will be able to visit the stables with friends and relatives to see your horse up close and hear your trainer explain the process of training an equine athlete. When your horse commences racing, before each race you will receive a pre-race report giving you details on how the horse has been working and the trainer’s view on your horse’s chances and the likely dangers in the race. Then after the race you will receive a post-race report on how the horse pulled up and trainer’s comments. In racing there are no guarantees, all you can do is try and stack the odds as much as you can in your favour, as we believe we do when we put our partnerships together. We are committed to making your racing experience enjoyable.